DUBLIN CITY UNIVERSITY (DCU) announced a partnership which will bring a fabrication studio to the campus early next year. DCU’s Innovation Campus formed an alliance with TechShop, a membership-based, DIY workshop based in the US, will give both members of the university and the general public the opportunity to learn advanced manufacturing skills and allow them to rapidly prototype new products. 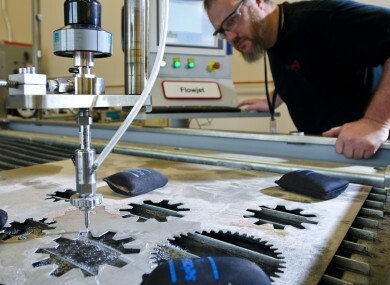 Companies that have been founded and initially prototyped in TechShop include Square, a card reading company founded by Twitter co-founder Jack Dorsey, Lightning Motors Corp, the world’s fastest electric motorcycle manufacturer and Embrace, a polymer baby blanket to incubate premature babies in the developing world. Similar DIY workshops and fab labs have been appearing across the country. Last month, Cloughjordan in Tipperary opened up the first fab lab in the Republic of Ireland while Limerick own fab lab will launch early next month. Email “DCU to launch its own fabrication studio early next year”. Feedback on “DCU to launch its own fabrication studio early next year”.